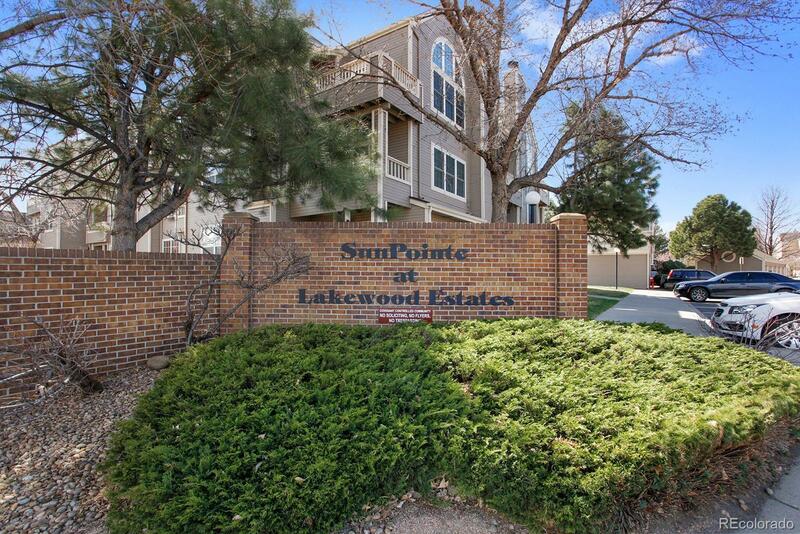 Ready to move-in, penthouse condo in Lakewood. Vaulted ceilings and fireplace in living room. Spacious kitchen With plenty of cabinet and counter space.South-facing deck is accessible from living room and master bedroom. There is laundry in unit, including the stackable washer and dryer. Reserved parking space. The top floor provides nice views. Community includes pool and shared patio areas. Close to public transportation, and just 3 miles from Belmar shopping area, and historic Belmar Park. Jefferson County Schools.